The National Retail Federation (NRF) has been helping retail thrive for over a century. And every January in New York City, its Big Show — aptly named since it’s the world’s largest retail conference and expo — shines a spotlight on the best retail brands, their latest technologies, and what they’re doing to reshape their customers’ experiences and behaviors. This year’s show promises to be packed with incredible events, speakers, demos, and a party or two. And, as always, we’ll be there to immerse you in inspiration, innovation, and a lot of fun. We will be out in full force at booth #3719. 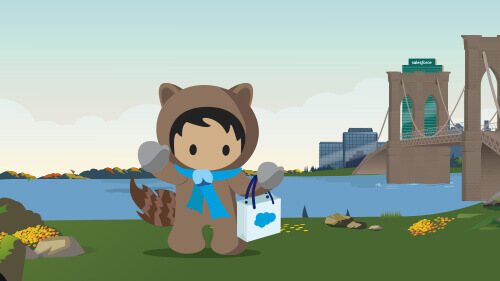 See how customers like Godiva and Rituals bring their brands to life during live demos, and discover how you can personalize shopper marketing, unify customer engagement, and connect commerce everywhere using Salesforce for Retail. Take part in 40 mini theater sessions over the course of NRF that run the gamut of innovation to intelligence to integration. They’ll feature select customers (think: Crocs, Mulberry, The Container Store, and Brunello Cucinelli) with extraordinary stories to share. Did we mention there’ll be Godiva chocolates and s’mores? 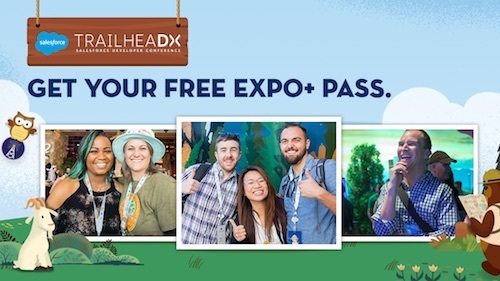 And don’t forget to add our keynote to your schedule where we’ll literally talk shop about all the incredible ways we can help you connect to your customers in a whole new way. 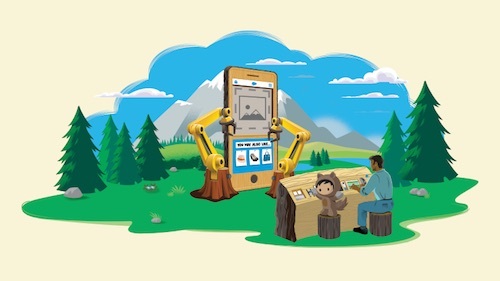 Forget “retail as usual” — it’s time to connect to your customers in a whole new way. That’s exactly what we’ll talk about during our Big Ideas session with Rob Garf, VP of Retail & Consumer Goods, and JR Linne, Sr., Manager of Retail Industry Solutions. They’ll sit down with Shinola to discuss how they’re unifying customer engagement. 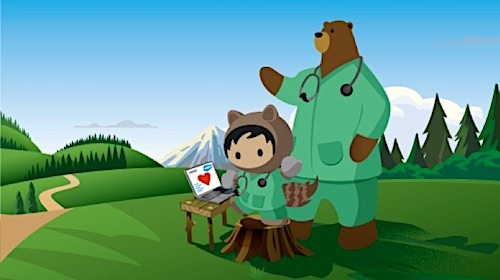 Bonus: the first 100 attendees will get a Salesforce Astro plushie . Join us for Fast Company’s discussion of the anatomy of a purpose-driven organization with moderator Jeff Beer, featuring panelists Stephanie Buscemi from Salesforce, Bill Bettencourt from TOMS, and Jostein Solheim from Ben & Jerry’s. This panel will bring a whole new meaning to conscious capitalism and inspire you to find brand new ways (pun intended) to do good and do well. Consumers expect digital experiences to be connected, yet many retailers struggle to deliver consistent experiences across their different engagement channels. But, with demo stations, meeting spaces, and more, our recent acquisition MuleSoft makes it that much easier to empower brands to integrate any application, data, and device. Visit them at booth #1340 to learn more. There’s no party like a Salesforce party. Let loose at the end of an action-packed day at the best soiree at NRF. A surprise band (if the rumors are true, it’s a good one), open bar, phenomenal food, and more. Space is limited, so sign up now. Connect to your customers in a whole new way. Join us for the unbelievable retail experience that only happens once a year. In the meantime, learn more about NRF’s Big Show and get the full NRF schedule. We’re counting down the days — and we’ll see you there.